The finest needle made in England. 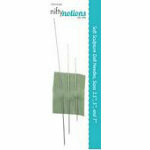 Very thin doll needles. Sizes 3.5",5",7". One each size per package.